Greig Laidlaw kicked four penalties in the second half as Scotland rallied to beat Japan 21-16 in the second rugby test on Saturday, securing a 2-0 series win. Japan led 13-9 at halftime and then 16-9 on a penalty by Yu Tamura in the 49th minute. Scotland coach Vern Cotter replaced his entire front row at the break, and brought on John Hardie for the injured Ryan Wilson in the back row. Laidlaw then replaced captain Henry Pyrgos after Tamura's boot and the moves paid off. Laidlaw made it a one-point ball-game with his second penalty on the hour-mark and the visitors took advantage of Japan's lack of discipline toward the end. The hosts were penalized for illegal scrummaging in the 71st and Laidlaw slotted another three-pointer before securing victory three minutes before full time as Scotland held on to add to its 26-13 win in the first test. 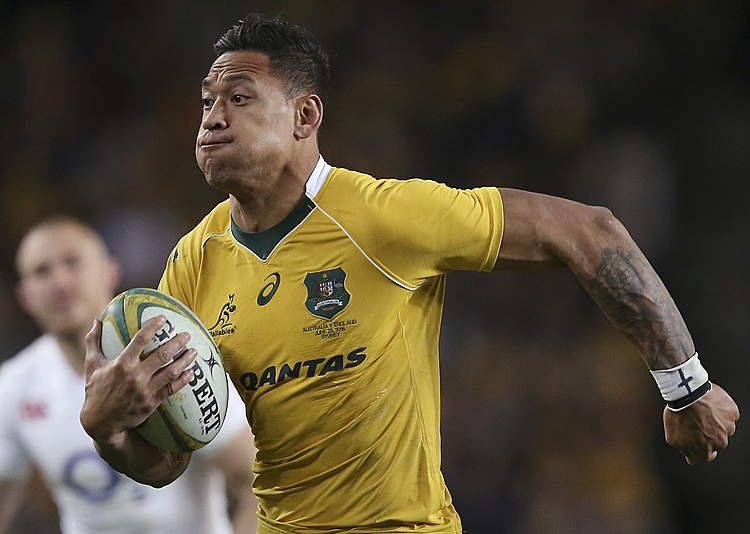 Kaito Shigeno scored the only try of the match when he completed a spectacular run in the 20th as Japan went ahead 10-6. Japan broke from its own 22 with Harumichi Tatekawa, Amanaki Lelei Mafi and Shokei Kin all making telling breaks before the scrumhalf touched down. Tamura added the extras and kicked two penalties as Japan dominated the half. Pyrgos kicked three first-half penalties for Scotland. Scotland beat Japan 45-10 at last year's Rugby World Cup in Japan's only loss of the tournament. Japan was without many of the players from that squad, including captain Michael Leitch, Luke Thompson and Justin Ives. 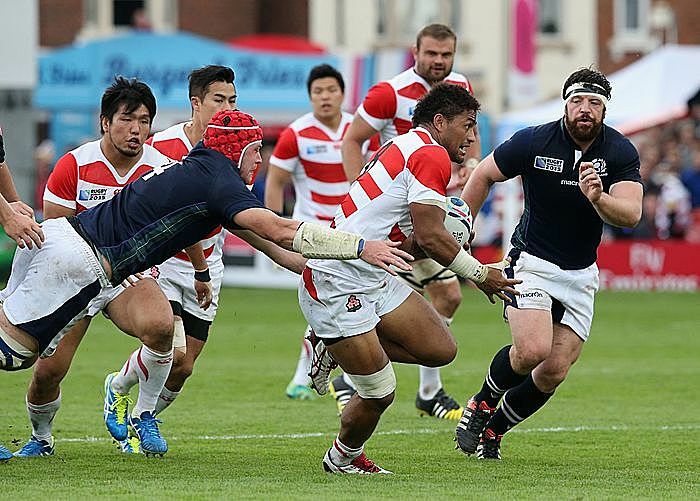 Japan fell to its seventh straight defeat to the Scots. Their victory in Tokyo in 1989 was a non-capped international. The test was watched by more than 34,000, including Japan's Emperor Akihito and Empress Michiko.